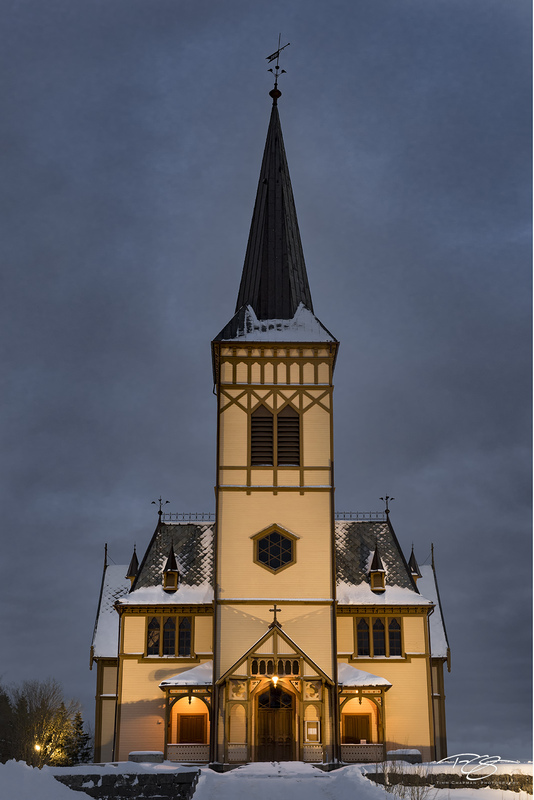 The Lofoten Cathedral, also known as the Vågan kirke warms the cool winter night as a beacon of salvation. Overlooking the village of Kabelvåg on Norway's island Austvågøya, and seating about 1200 people, the church is the largest wooden building in Northern Norway. While this has been a church site since the 12th century, a half dozen different churches have been built on the same spot over the last 900 years. The present church was built in 1898 to be large enough to accommodate all the fishermen who came to Kabelvåg each season.